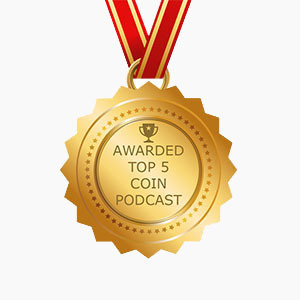 On Episode 126 of The Coin Show Matt and Mike talk about “The Top Flying Eagle and Indian Head Cent Die Varieties”, Matt’s FUN Show report and they talk about The Coolest Thing To Walk Into Matt’s Shop” as well as the news in the world of coins. YEESSSS !!! .. … 😀 .. .. .. Awesome you two !!! The coin community is cooler than ever right now. FOR those “in the know”. There is plenty to search, and, plenty to be excited about !!!!!! PLENTY going for auction for “STUPID” amounts of money. Find it in your Aunt’s attic folks? Right? (18 minutes) hahahaha , a “FLAT” Earth , coin ???? …. Dood ? NO stars in the videos they tell us are from space !>?!?!?!?! … . .. And water always finds its level and flows downhill. “Just Sayin” …. right. * Note : do Not fall in to supporting a “model” that we do not know is true about the “FLAT” Earth !!!!! We need verifications, plural, before we start teaching that “such and such” is Truth. Right. Dear Matt and Mike, I enjoyed episode 126 very much. I study Large Cents and have collected them for 31 years now and Im still learning. I also collect indian heads but, am so ignorant on varieties [ not stupid]. I would love to own a free copy in the book drawing on flying eagle and indian head varieties. I am a long time listener and wish you did more shows. Thanks for being an enlightener to a great hobby. Jim Woodruff Fremont, Ohio P.S. Fremont is home of Pres. R.B. Hayes . The Hayes Center has several of the first Morgan Dollars Struck . They were presented to Hayes by mint director Snowdon. I did restoration work in the 31 room Hayes mansion, as is my trade. I loved the part about the Flying Eagle cent. Keep up the great stuff! Happy to see you guys back in the saddle for another pod!